Previ Teaching & Learning is a dynamic suite of classroom assessment tools, professional learning programs and services, and a resource collaborative with a growing portfolio of insight and information. This suite of solutions helps educators connect instruction, assessment, and professional learning to support success for every student and productivity for every teacher. With Previ Learn, teachers now have access to a real-time roadmap. 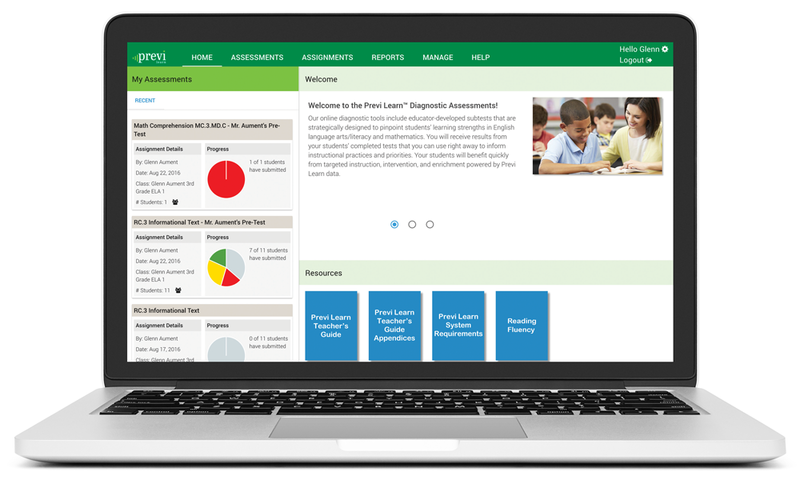 Our set of proven diagnostic and interim tools, and data-rich reporting, help target and adjust instruction. The pre-designed subtests are directly aligned to college and career readiness standards in mathematics and ELA/literacy for grades 2–11. 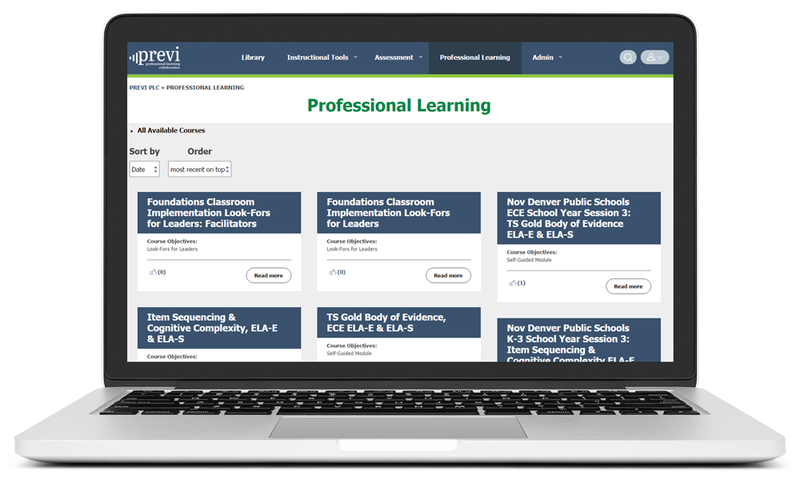 Previ PRC provides classroom educators, administrators, and other stakeholders with a helpful range of resources to inform and improve instructional practice. Here, you’ll find educator-developed materials to support and strengthen instruction, formative assessment, and educator development.